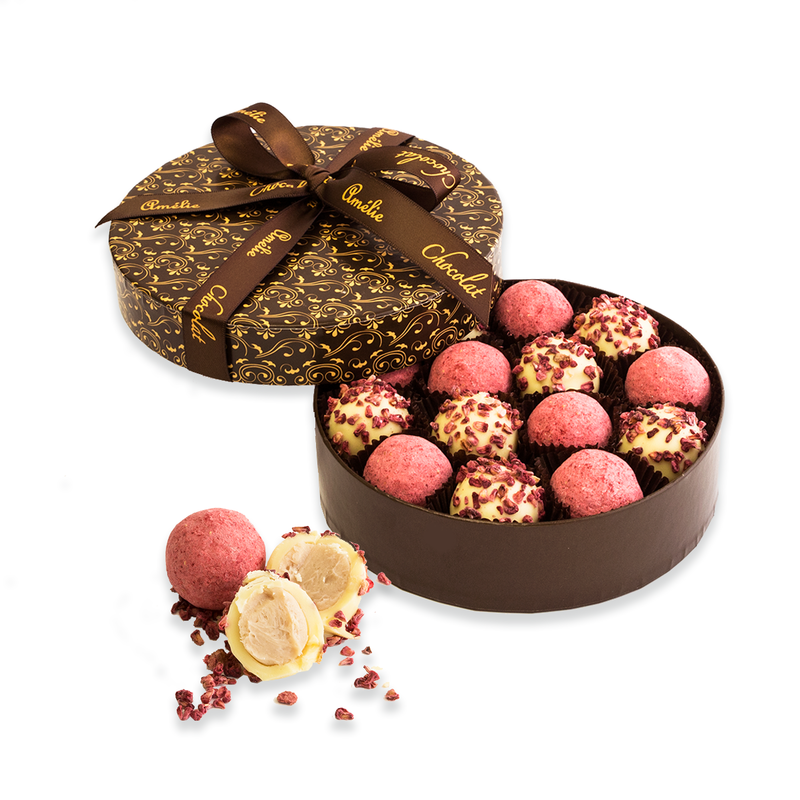 Click the button below to add the Raspberry & Strawberry Champagne Truffles to your wish list. Luxurious and meltingly delicious ... an exquisite selection of champagne truffles laced with the fresh flavours of strawberries and raspberries. Velvety smooth ganaches of berry flavoured Marc de Champagne are lusciously enrobed with white Callebaut chocolate and finished with shards of freeze dried raspberries & strawberry sugar. Presented in a beautiful rigid gift box and finished with satin Amelie ribbon and your personalised message.